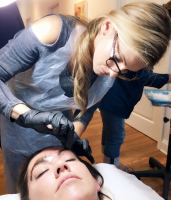 At Fluff, we use the most luxurious eyelash extension materials along with a tried and true quick-dry surgical grade formaldehyde-free adhesive that leaves no clumping, sticking or damage to your natural lashes. 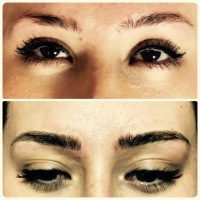 We also perform eyebrow microblading, eyebrow shaping, and eyebrow extensions. We take a professional approach to make you feel comfortable in our beautifully decorated beauty oasis. 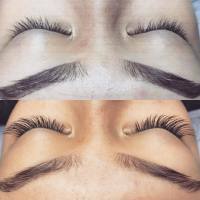 Have you received lashes from an unqualified lash artist that are painful or just don't look right? 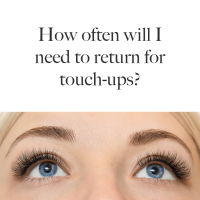 Schedule a removal ASAP to avoid any damage to your natural lashes. Removal takes about 15 minutes and there are two options. 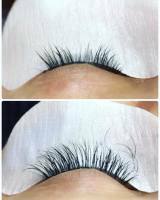 The less expensive option is to use an adhesive remover solvent, leaving you unable to recieve a new lash set for one week. 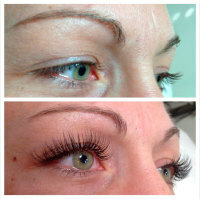 Option two is a manual removal which does allow you to get a new set of lashes in the very same session. 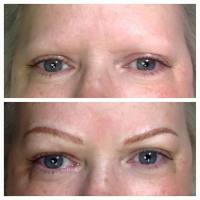 Lisa is a certified Master Lash Stylist and Eyelash Extension Trainer with nearly 8 years of experience. 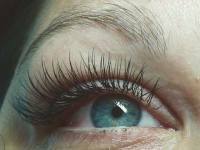 She is also the founder of the Association for Damage-Free Eyelash Extensions, the first Association in the eyelash extension industry. 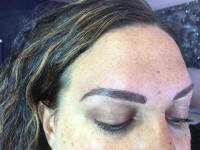 She has been performing Microblading procedures for 3 years and is triple certified in the art. 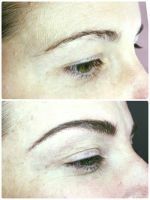 Lisa is a meticulous perfectionist and does her very best to send you out the door looking perfect! 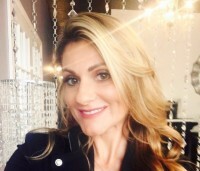 In her free time, she loves to lift weights, cuddle with her fluffy white Pomeranian, Coconut (the Fluff mascot) and hang out at the Green Room in downtown Libertyville. 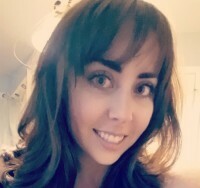 Samantha is Fluff's newest Stylist and is trained in eyelash extensions and massage therapy. 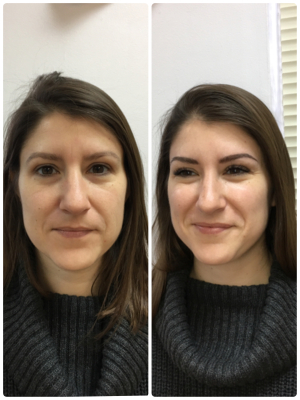 Samantha creates beautiful, natural looks with her eyelash art! When Samantha is not at the salon, you can probably find her in the gym! But if she had it her way, she would be covered in Pomeranians! she is a natural dog lover at heart. 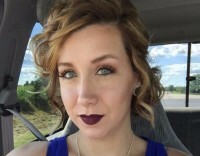 Whitney is a Certified Massage Therapist and Esthetician from California. She truly believes in living life to the fullest and has done so by exploring opportunities in not only California and Illinois, but Virginia, Louisiana, as well as a few months spent in Australia. Each day leads to a new adventure and Whitney won't let fear of the unknown stop her from living the one life she was given. Next time you call to make an appointment at Fluff, make sure you say hi to Whitney! 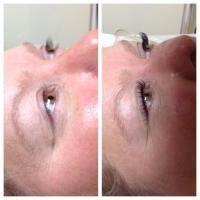 Classic Lashes: 1 lash extension is glued to 1 natural lash. 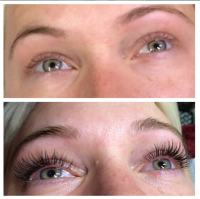 Classic lashes are perfect for clients who already have a lot of lashes, but want to add more length. 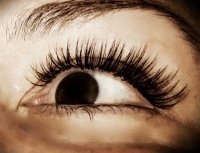 Classic lashes look more natural. 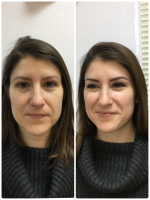 Volume Lashes: Multiple lashes are applied to one single natural eyelash individually. 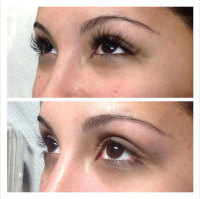 2D is when two eyelash extensions are applied to one natural lash and 3D is when three eyelash extensions are applied. 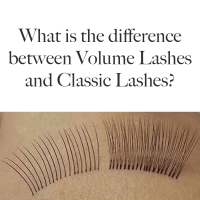 Volume lashes are perfect for clients who don't have a lot of lashes, sparse lashes, or just want a more dramatic look using lashes that are lighter, fluffier and give a fuller look. They also last longer! 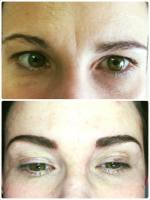 Only wear mascara that is formulated and has been tested for eyelash extensions. 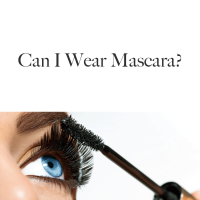 Avoid putting mascara on the base of the lashes, focusing more mascara on the tips of the lashes. 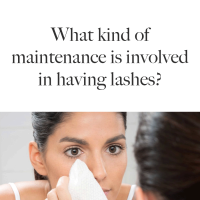 To learn more, ask about what kinds of mascara you can use at during appointment. 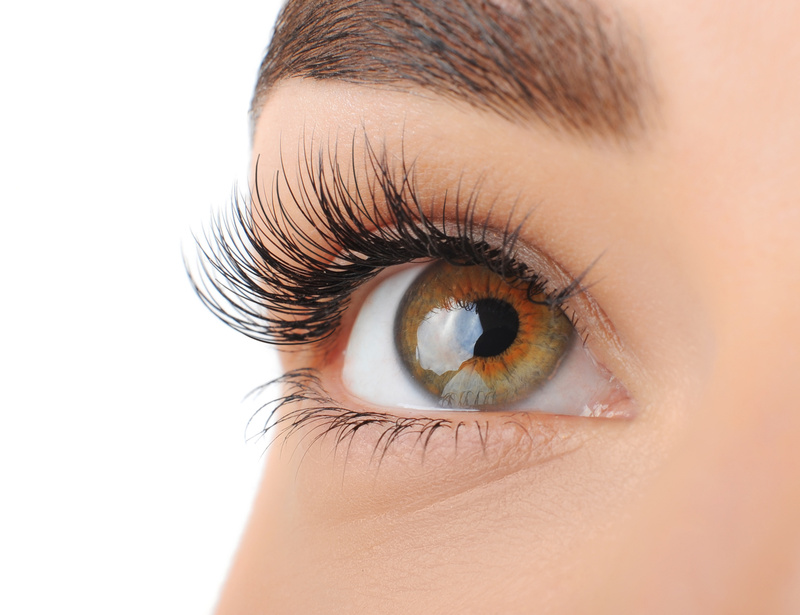 Fluff also offers a superior lash boosting mascara that you can use with eyelash extensions. 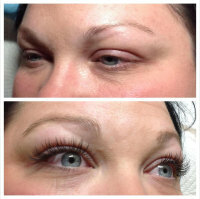 Eyelashes: Lash Touch-Ups can be done every 3 1/2 - 4 weeks. 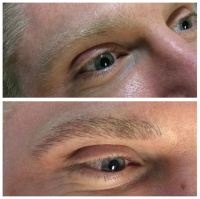 Eyebrows: Results last up to three years. 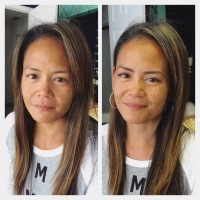 Depending on your skin and lifestyle, touch-ups can be done once every six months. 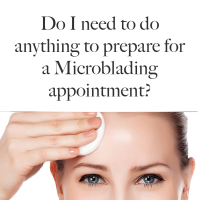 Book your appointments at least 2 weeks before your desired appointment time. You may also book months in advance to ensure you get an appointment time that is most convenient for you. 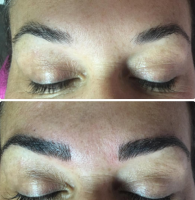 Unlike a regular tattoo, microblading is a form of tattoo artistry where pigment is implanted under your skin with a manual handheld tool instead of a machine. 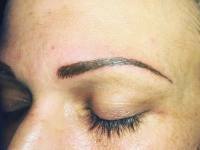 Hair-like strokes are drawn on with a tool to mimic natural hairs and will last up to two years. Not really! We recommend not taking any aspirin or herbal supplements that may increase circulation and thin blood at least 3 days before your appointment. We ask this because aspirin and herbal supplements may thin your blood, which means more bleeding, which means less color retention. 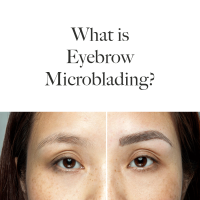 Protect your freshly bladed brows from all moisture. That means no sweaty workouts or washing your face with water. Some clients may experience itching and redness during the first week, which Vaseline can alleviate. Aftercare ointments are provided during during your first Fluff appointment. 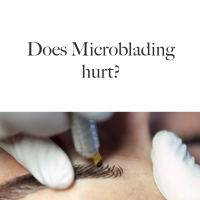 It is important that you do not have a Microblading appointment right before a vacation because you should not be out in the hot sun during the healing process. 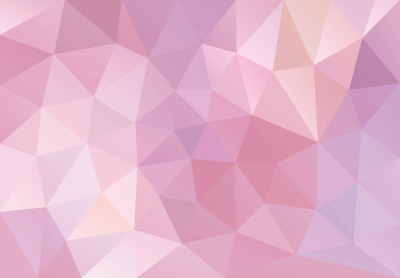 Because you shouldn't wear any sunscreen at least 7-10 days after the procedure, we recommend not being in the sun during that time. Pain is relative. 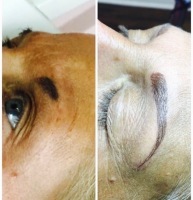 Some clients feel more pain than others but overall, it feels like little scratches. It is by no means unbearable pain. At Fluff, we use a topical numbing cream to minimize pain. 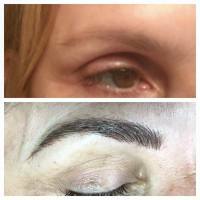 In general, clients feel no pain at all! 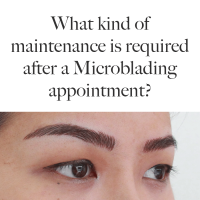 After your appointment, slight redness and mild swelling is normal and will clear up quickly.